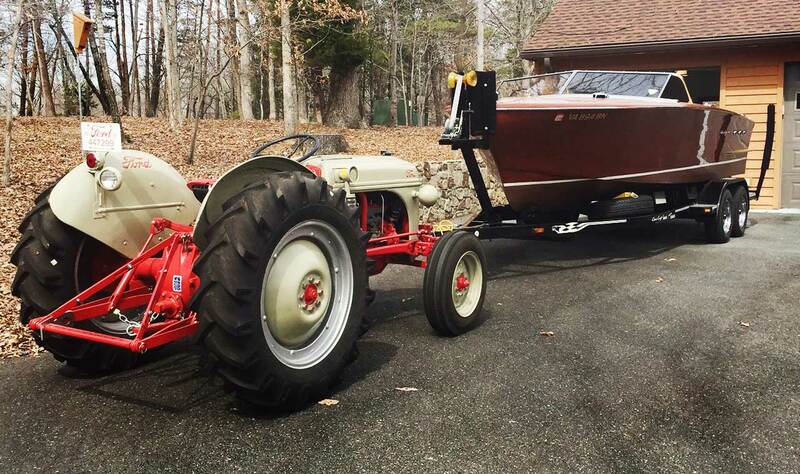 George Blosser’s 1952 8N towing his 1956 23-foot Chris-Craft Continental. Growing up on our family ranch in California, I learned to drive our family’s 2N Ford tractor at a very young age. Some 55 years later I tried to locate our original family tractor by going to its last know owner and ask, “Whatever happened to our family’s 2N?” Regrettably no one knew the answer. I gave up looking for that one and started a search for an 8N. I located one in the State of Arkansas and purchased the tractor. 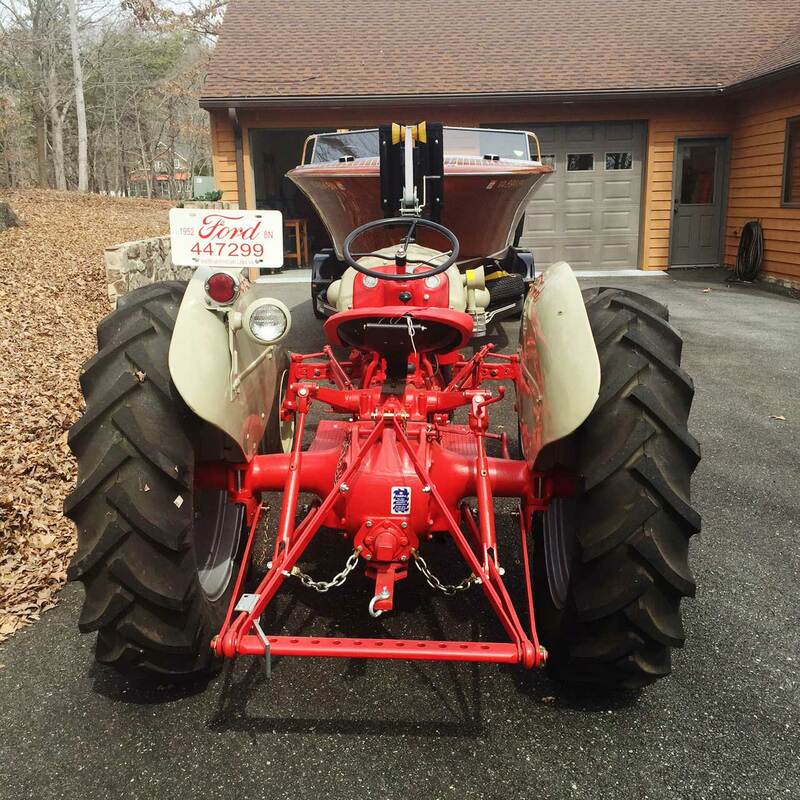 A restoration process was immediately started to return the tractor to its original condition, as when delivered from the factory in 1952. Today the 8N is officially retired from farm work and is used primarily as a tow tractor for moving our boats in and out of our garage during the winter months. Additionally our grandkids always want to “take a ride on Granddad’s tractor” during their visits to our home. George Blosser’s 1952 8N Serial No. 447299. Our Chris-Craft was delivered to the dealer in Sturgis, Michigan on June 17, 1956. We are the 5th owner and the boat is home ported on Smith Mountain Lake, Virginia. Being an active member in the local chapter of the Antique and Classic Boat Society we have refurbished the boat to its original factory new condition. She is named “Happy Days” after the TV sit-com of the same name. She is powered by a Chris-Craft in-line 6 cylinder 175 HP engine and her top speed is listed by the manufacture as 38 MPH. See George Blosser’s article about his history with Ford tractors in the Spring 2013 back issue. Volume 28 #2.